Cordless power tools, and now lithium-ion batteries, have revolutionized the home improvement world. But anyone who’s been held up by a dead battery knows these tools have limitations. Here’s how to get the most out of your batteries. Contrary to popular belief, you don’t want to run your lithium-ion batteries down completely before recharging them. They do much better when they’re charged frequently and stored with a partial charge. Temperature is a big factor with lithium-ion batteries as well. They work and charge better between forty and eighty-five degrees Fahrenheit, so you don’t want to store or charge them where they’ll get too hot or cold. 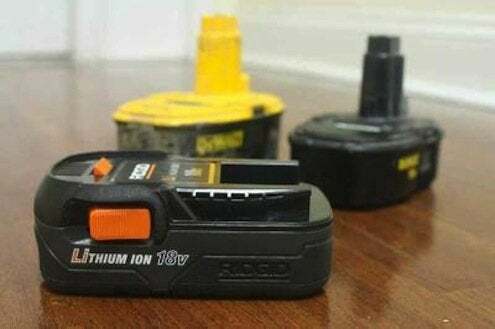 Unless you want your batteries to decide when the job’s done, always have at least two and use them equally frequently; like anything else, with batteries, it’s ‘use it or lose it’!